capability that might not be as intuitive as these other features. could be created by another program or script. field keys can also be defined (the default keys are the column numbers). can be inserted into text and barcode objects in their property dialogs. record for field keys in the all text and barcode objects." 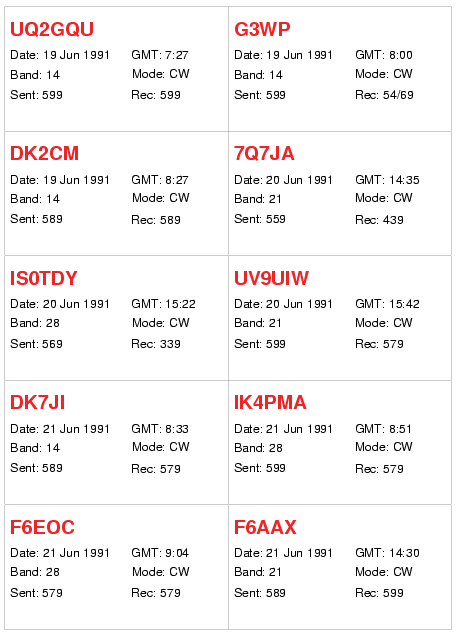 his/her own QSL cards with images, colored text or whatever he/she whishes. it took to import the log into a spreadsheet and create a TAB separated file. what can be done with little effort.